Walt Gosden at Hershey this year alerted me to someone selling factory photos of classic automobiles including my car- the 1937 Chrysler's Chrysler. 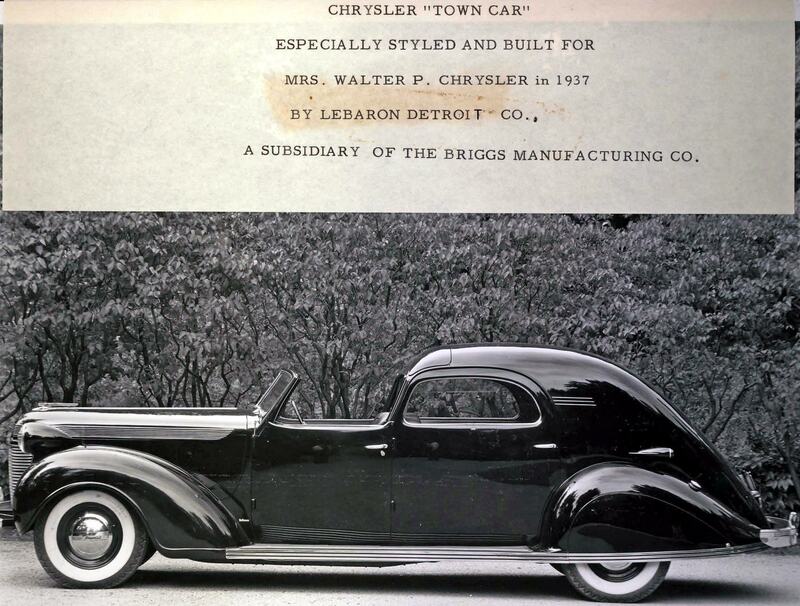 Thanks to Walt, I found the this photo and four other Chrysler Town Car factory photos. We will miss you John Fitch! 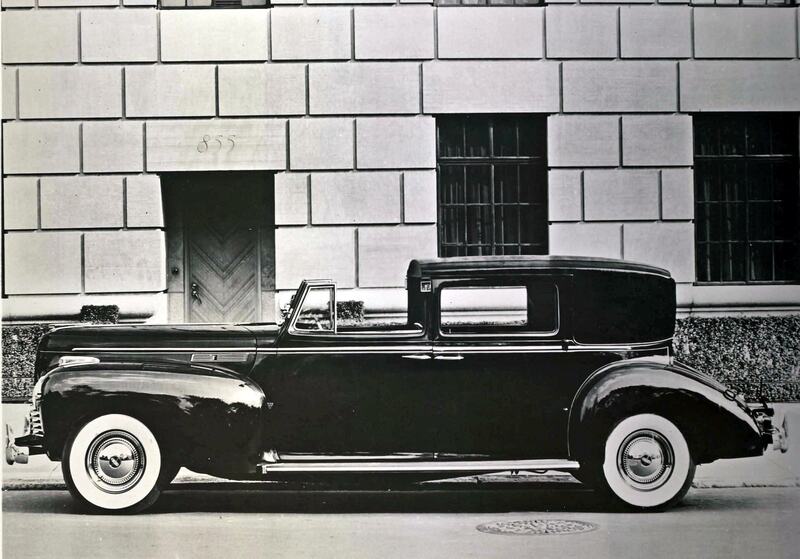 The photo provides further evidence of the provenance of Chrysler's Chrysler: Caption: Chrysler "Town Car" Especially Styled and built for Mrs. Walter P. Chrsyler in 1937 by LeBaron Detroit Co., a subsidiary of The Briggs Manufacturing Co.
Caption: 1938 Chrysler Royal chassis custom formal town sedan body. 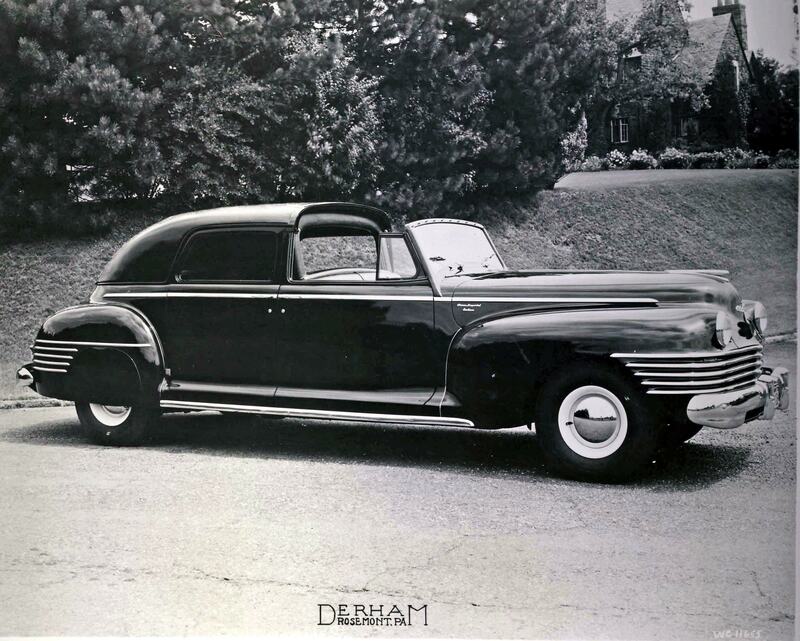 Caption: 1940 Chrysler Imperial Derham formal town sedan body. Caption: 1940 Chrysler Windsor chassis with custom, formal town sedan body. 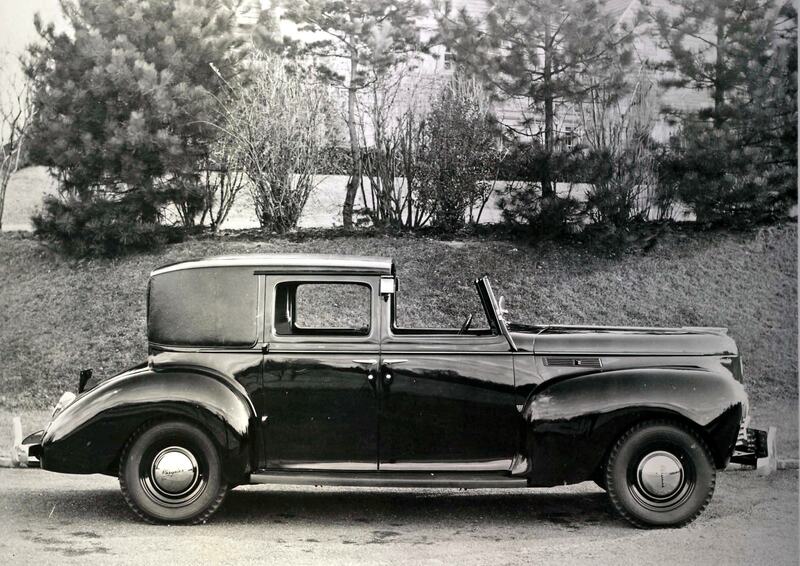 Caption: 1942 Chrysler Crown Imperial chassis with special town limousine or town car body. 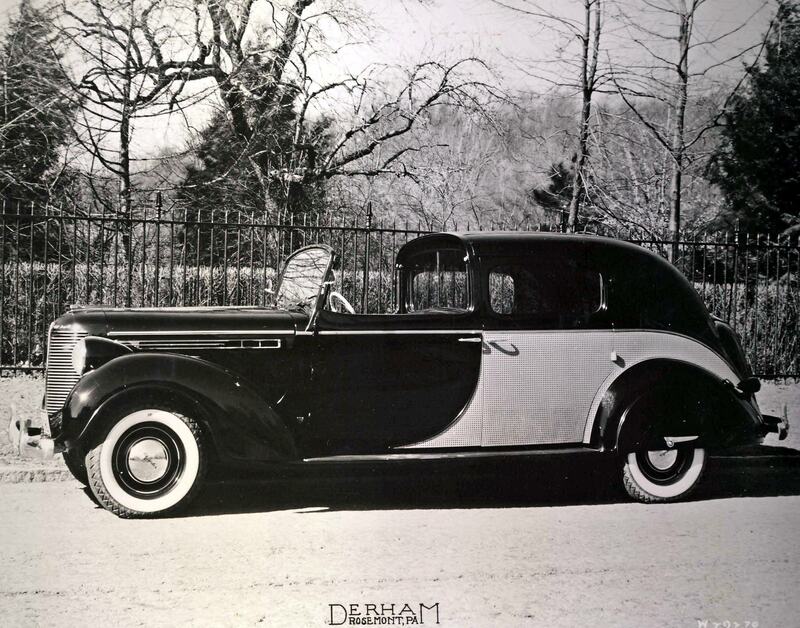 Howard, All the other photos you purchased show cars with either full or semi custom coachwork by the Derham Body Co. of Rosemont, Pa. . Derham was founded as a carriage builder and made the transition to motor cars. It was one of the premier custom coachwork firms and lasted until 1967 (!) out living all its competition from the Pre WWII era of the Golden Age of coachwork . 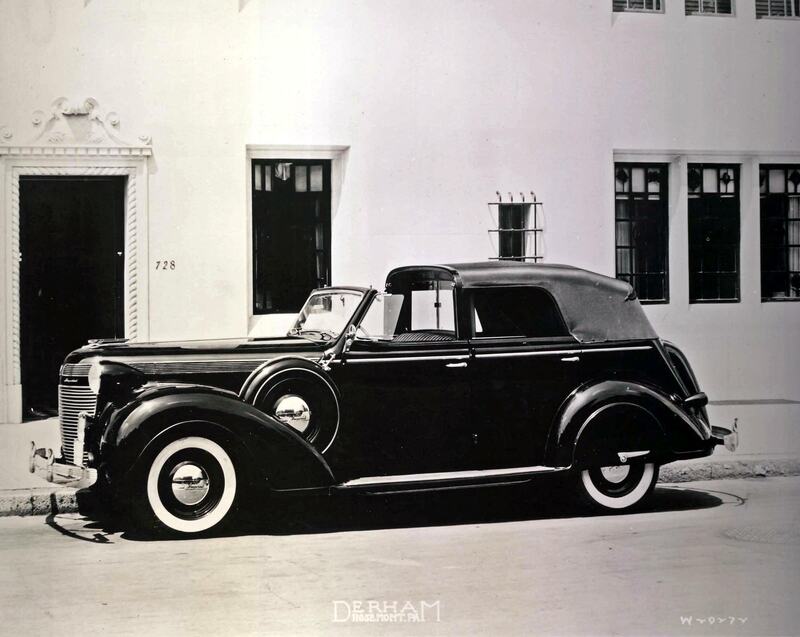 Derham survived by taking on a Chrysler - DeSoto franchise in 1936, so could modify a production sedan into a semi custom (padded top, new interior, etc) but also do full customs bodies the last 3 photos are full customs. I always buy pre war period paper and photographs from the vendor you bought your photographs at Hershey and when I saw these just knew it was a place you had to visit ! Keep the memories of the great time at Hershey while we put up with the stress of the recovery from the storm. Hi Walt, thanks for the comment and the help in finding these photos. Much appreciated! I think your car has the most pleasing design of all those shown…. -. seems that as the years passed the white wall tire fell out of favor…. Glad to hear you survived well. .